Plaintiff filings in federal courts are up 17%, and as many as 6% of S&P 500 companies could be the target of such suits this year. 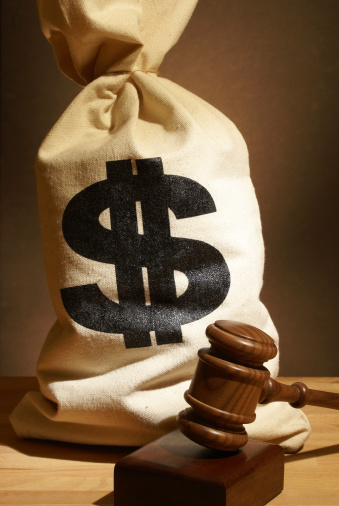 Plaintiffs filed 119 new federal securities class action cases in the first half of 2016, a 17% increase over the second half of 2015, according to Securities Class Action Filings — 2016 Midyear Assessment, a new report released Tuesday by Cornerstone Research and the Stanford Law School Securities Class Action Clearinghouse. In addition, compared with historical averages, more S&P 500 companies were the subjects of filings. The 119 total cases represent an increase of 17 cases from the last half of 2015 and 32 more than the first half of 2015. The total was also 27% higher than the half-yearly average of 94 filings between 1997 and 2015. Federal filings of class actions involving mergers and acquisitions fueled the jump in class-action cases, as such filings increased to 24 in the first half of 2016, significantly higher than the half-yearly range of 5 to 9 filings in the period from 2012 to 2015. In the first half of 2016, filings against S&P 500 companies were also more frequent than the historical average. The consumer non-cyclical sector, which comprises biotech, pharma, and healthcare companies, had the most filings, with 43. If the current pace of filings against S&P 500 companies continues, one in 16 companies (6%) would be the target of a lawsuit by year end, the highest annual rate since 2008, Cornerstone Research and Stanford predicted. The report data also showed that plaintiffs bringing Section 11 cases, which involve untrue statements or omissions of material fact in securities registration statements, are more often suing in state courts rather than federal ones. “Plaintiffs have obviously calculated that they are likely to achieve more plaintiff-friendly outcomes in state court than in federal court, and are using a range of jurisdictional maneuvers to try to steer an increasing number of cases away from the federal forum,'” said Professor Joseph A. Grundfest, director of the Stanford Law School Securities Class Action Clearinghouse and former SEC Commissioner. Finally, on an annualized basis, filings against foreign issuers increased from 2015 levels. That was despite the absence of lawsuits filed against issuers from China, which have been the most common foreign companies targeted by class actions in recent years.